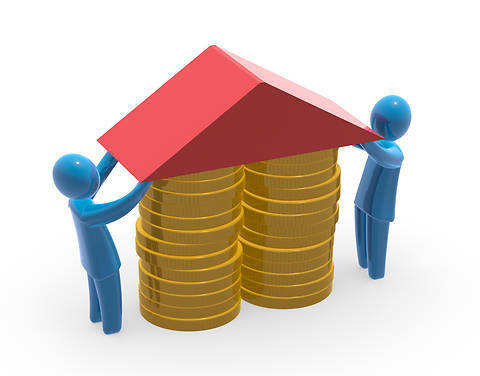 Today Your Personal Financial Mentor is going to discuss some tips to increase the value of your real estate. Selling a house is not difficult, provided you follow some basic common sense and some tips from the experts, to get the best real estate value on your investment. Interior made for a prospective buyer to imagine this as their own home. Do not go overboard on any particular style, neither should you use loud colors. Change all fittings, flooring to modern ones. And make sure to clean up dirty or foul-smelling areas. First impressions are usually the lasting ones. Invest in a fresh coat of paint both outside and inside the house, it makes it look years younger, and immediately adds to its real estate value. Stick to a light shade of white, off-white or yellow, as these additionally give an enlarged appearance. You need to enhance the curb appeal of your house, which is how it appears from the outside, and may include the garden and front porch. Do up any damaged parts of the compound wall or fencing, to show the buyers that you respect their need for security and privacy. Environment-friendliness is gaining appeal in society. It will be beneficial to upgrade your house to have energy-saving bulbs. An overhead light is needed outside your main door, but it doesn’t need to be kept on all night. Get a motion-sensitive lighting unit that will be activated when somebody approaches. This will also double up as a security device, by alerting you to potential trespassers and robbers. These changes will not only boost your real estate value, but also bring down the electricity bill. Upgrade the insulation of your window panes and doors to help retain the temperature inside. Repair leaky taps and attend to exposed wiring. Plants kept indoors enhance the aesthetics and real estate value of your home; they also purify the surrounding air. Ensure ample cross-ventilation, and the entry of natural light. If the current layout does not permit this, you can renovate at a low cost, provided the projected real estate value after deducting renovation costs still leaves you with a decent profit. While on the topic of renovation, do not attempt to do it yourself, unless you are a trained professional. There are good chances that you might do irreparable damage to your house and its real estate value. There are professional evaluators on the market. Hire their services to carry out a detailed inspection and estimation of your real estate value; their advice will be worth their fee, since you then have a reliable back-up to your asking price. Having said all this, the bottom line is to put yourself in the shoes of the prospective buyer, and you are sure to land more than one golden offer.